The €100-€200 category has plenty of affordable smartphones, some of which are surprisingly good. We won't bother mentioning 3G and Wi-Fi here as advantages as those should be standard on anything over €100. Here we're looking for good all-rounders - good display and chipset, decent camera and modern OS. While these phones are not the best in the business, some people can safely say they bought them for the features rather than the frugal price. The Samsung Galaxy Ace 2 is nearing two years old, but the 3.8" WVGA screen, which is much sharper than the screen of its predecessor. The dual-core Cortex-A9 CPU with Mali-400 GPU is also the first taste of real processing power. Similarly, the 5MP camera gives us the first bite into HD (720p) video recording. 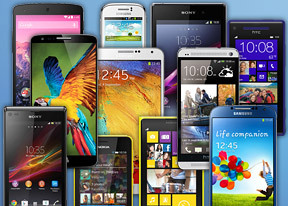 It costs double the price of the Galaxy Y, but is leagues ahead in practically every aspect. 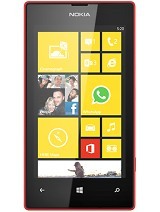 The Nokia Lumia 520 is the most popular Windows Phone handset in the world and for a good reason. It's powered by a faster chipset (dual-core Krait CPU and Adreno 305 GPU), which already puts it ahead of the Galaxy Ace 2. Design is another advantage, and the 520 matches the current trend of bold colors. Windows Phone 8 may not be everyone's cup of tea, but the user interface is simple, the OS has good functionality out of the box and a growing list of apps. While Android is not the smoothest OS on low-end devices, Windows Phone is highly optimized for the few platforms it runs on. Besides, using an alternative OS (the old iOS vs. Android tug-of-war) has a certain appeal. WP8 also has great integration with Microsoft products, including a free Office document editor. The Lumia 520 stands out of the WP8 crowd with free Nokia exclusives, including an offline SatNav app with license for one country, a data-saving web-browser and the Nokia Mix Radio streaming service. This makes it a great, affordable phone for people on the go. The HTC Windows Phone 8S is an alternative to the Lumia 520. It's a pretty device in its own right and comes in a wide range of colors too. Both are priced the same have practically the same hardware, except the HTC has a slightly better screen and a bigger (but non-removable) battery - 1,700mAh vs. 1,430mAh. It has 4GB built-in storage instead of 8GB, but both can be expanded with microSD card slots. More crucially, the HTC 8S lacks access to Nokia's exclusive apps and services. It does have Beats Audio, which can be valuable depending on your usage. HTC has another value-for-money WP8 phone, the HTC Windows Phone 8X. It has a sharp 4.3" 720p screen, 8MP camera with 1080p video capture and a fast chipset. Those are specs that are virtually impossible to come by at this price point. The chipset is a dual-core Krait at 1.5GHz, with 1GB RAM, Adreno 225 GPU - same as the flagship Lumia 1020 phone. The HTC 8X is not the most compact 4.3" phone by any measure, but it has good HTC looks, a polycarbonate body and a relatively big 1,800mAh battery. It has Beats Audio too, if you're into that. We come back to Android with the Sony Xperia L. It has a 4.3" screen too, but of FWVGA resolution unlike the HTC 8X. The Snapdragon chipset is the slower dual-core 1GHz Krait / Adreno 305 version too. The Xperia L also lags behind the 8X in that its 8MP camera records 720p only. Still, if you want a compact, Krait-based droid with a good design, the Sony Xperia L is a serious candidate. Plus, it has 8GB of storage you can expand with microSD cards in case the limited storage of the 8X is a deal-breaker. If you want a dual-SIM Android in this price bracket, check out the Acer Liquid E2 duo. It has a 4.5" qHD screen and a quad-core Cortex-A7 processor. It's not exactly a speed fiend, but it runs very decently and has an 8MP camera that records 1080p video. Plus there's a relatively big 2,000mAh battery, DTS sound enhancement and rear stereo speakers to sweeten the pot.